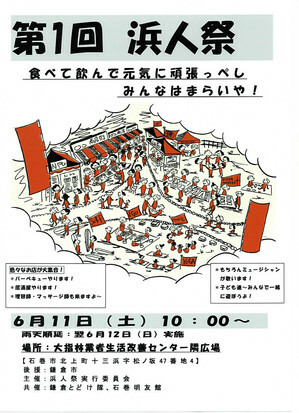 Kamakura Todoketai is a volunteer group in response to Sendai Todoketai and Ishinomaki Meiyuukan, our friend's summons for help. We will deliver food and work force directly to earthquake victims. Please donate some money and stuff, at the same time be a member of Kamakura Todoketai as a volunteer in there and here in Kamakura.